In English literature class, I studied, “Inebriety” a poem by George Crabbe published in 1775. This poem often came to mind this month because I had several intoxicating indulgences in November. My exhilaration was not only from tasting various alcoholic drinks and delicacies but also from discovering EightLido, a wine bar believed to be JB’s coolest chill-out spot. My visit to JB’s “poor man’s pub” was the ultimate but when I saw how my published articles were displayed in two restaurants, it hit me with an all-new high! 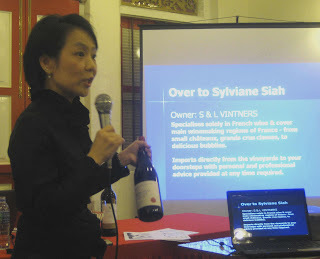 The month started with a French wine appreciation event with a women’s association, presented in the theme: “How simple can French wine get?” and hosted by Sylviane Siah. 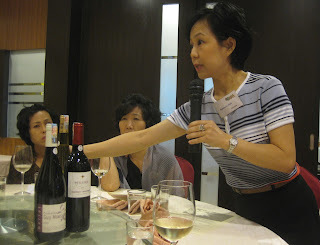 Applying the “Five Steps of Wine Tasting”, I joined the ladies to See, Swirl, Smell, Sip and Savour two white wines and two red wines in a Chinese restaurant. 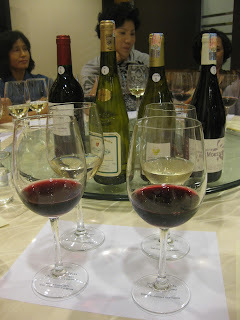 Over lunch, I learnt how fresh and lively white wines can be perfectly paired with seafood while crisp white wines like Sauvignon Blanc are an ideal match with food like fish, chicken and beancurd. On the other hand, red wines are great with grilled meat, poultry, cheese and even a salad. I also learnt the ideal serving temperature of each wine but as a rule of thumb, the lighter the wine, the colder it should be served! One sophisticated and sensual experience led to another, albeit less sophisticated but yet equally sensational time at a place that I had long planned to go but failed to do so until now. Each time I passed that way, I was intrigued by the old building and longed to step inside to get the story about JB’s Government licensed toddy shop. One day when Vincent D’Silva and I met for breakfast, I asked if he would be my translator at “the poor man’s pub.” He agreed and we finally fixed a date to go the following week. 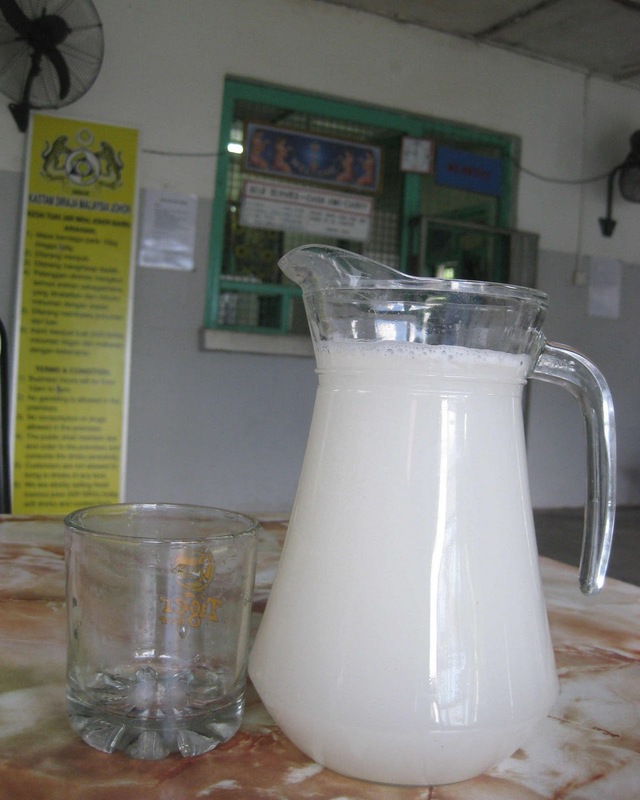 When Vincent and I walked into the toddy shop, the regulars there were understandably curious but as Vincent did the introductions in their language and explained my purpose, I noticed how everyone, especially the “bartender” visibly relaxed and happily cooperated with us. Suresh, the bartender/manager gave us a guided tour of the building that was opened for business since the 1920’s. He gave a demo of the preparation and serving of toddy and besides pouring me shot to sample, he also helped to fix an appointment for me to meet the proprietor later. So when I walked into the shop again to meet him, I may still look odd among the regulars but I sensed that they were quite comfortable with me there! Next Wednesday, I was up at the crack of dawn to go to the Pasar Rabu in Ayer Hitam. I was advised to have an early start to enjoy the cooler weather because it could get quite hot later in the morning. This colourful wholesale market was stocked mostly with bulk packs of various items of apparel and fabrics but there were still many interesting items to buy at bargain prices. My shopper friend, Emily, assured me that I should find some super bargains there and I sure did! ﻿﻿﻿﻿While browsing around, we spotted a vendor selling packets of tapai ubi from the back of his motorcycle. There were only a few packets left and this was proof that his recipe of homemade fermented tapioca is so good that they were fast selling out! 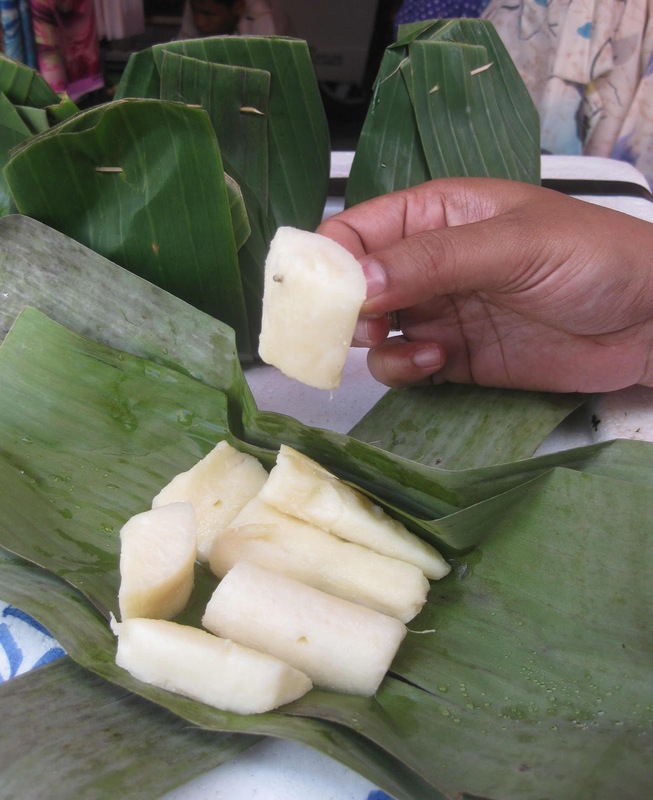 It was quite telepathic for us because Emily and I didn’t need much persuasion to decide and the vendor watched with amusement as we opened the wrapping made of banana leaves, to devour the tapai right there! And yes, we remembered to pay him! From Ayer Hitam, we made our way to Barney’s in Kluang just in time for lunch. Barnabas Lim, the chef-entrepreneur better known as Barney, did not hesitate to whip up several of his specialties – not yet on the menu – for us to enjoy. I must say the fresh watercress salad tossed with orange wedges, drizzled in piquant orange juice was just perfect after an exciting exercise like market shopping! After tucking into a delightful meal, we still managed to polish off tiramisu and chocolate cake washed down with some lovely Lavender Grey designer tea. 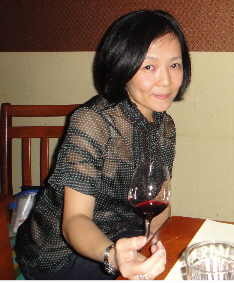 A few days later, I met a friend to celebrate her birthday at Sushi Monzta. In addition to a sumptuous Japanese meal, the proprietors – friends of ours – were so kind to serve us a special sushi as a birthday treat: lightly baked salmon sushi rolled in mashed potato! ﻿﻿﻿﻿﻿As always, I needn’t place my order for dessert here because they know how I love their real rum ‘n raisin ice-cream, which for me, is specially spiked with sake! As my food reviews are published, I know that many merchants choose to frame the articles for display in their restaurants or cafés. 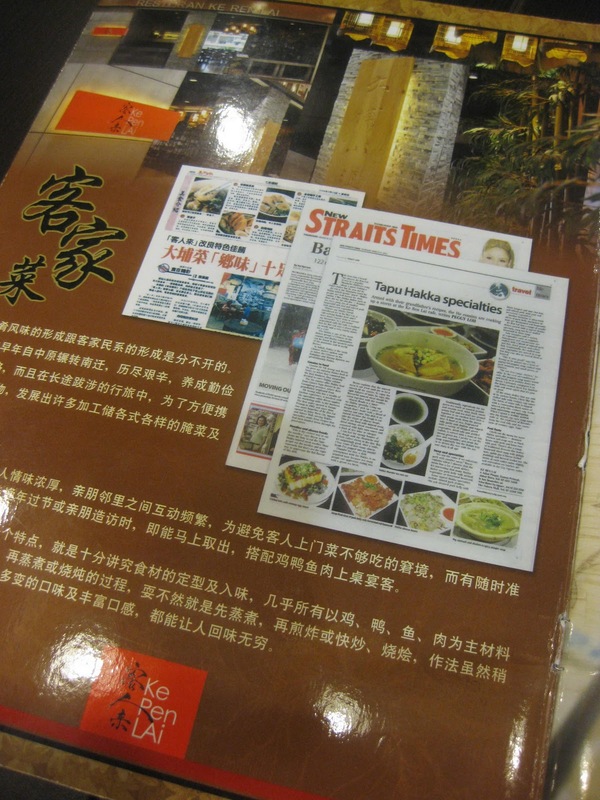 The other day when my sister and I were feeling peckish, we popped into Ke Ren Lai at Sutera Mall and I was delighted to see my article framed as a poster on the wall. This didn’t prepare me for what I was about to see. When I opened the menu, I was pleasantly surprised to spot my published piece printed with the design on the inside front cover! I thought it was a clever way to let diners have a quick read to help them decide on what to order! Since my “Wow Pau!” piece was published, I have not been back to that restaurant. So last week when George Loong invited me for breakfast at Yon Lai, I happily accepted. From good times to great food and giant posters, it’s been a rather amazing month – with more “highs” than usual – and while I anticipate more interesting happenings, I’m also bracing myself to expect the unexpected! 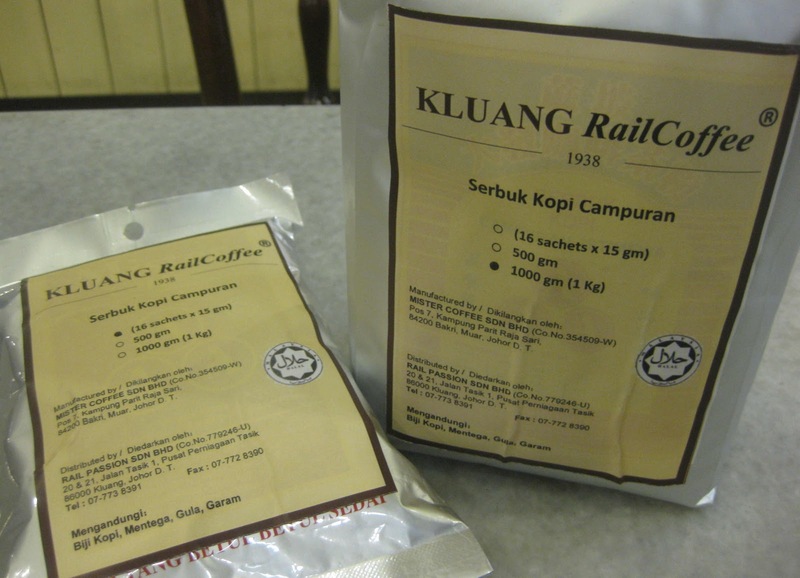 Since 1938 countless rail travelers at the Kluang Railway Station and regular customers at Kluang RailCoffee outlets have been satisfied with their great coffee and local food. Kluang RailCoffee has so established itself as a brand of quality coffee that a stopover at any of the Kluang RailCoffee shops for hot coffee and snacks is probably one of the must-do items on the list for visitors to Kluang. Now fans of Kluang RailCoffee specialties not only can enjoy the menu and buy back packs of their coffee but they can also experience a comfortable stay at the Rail Hotel, a boutique hotel linked to their flagship outlet in Kluang. The backdrop design to the reception counter in the level one lobby is reminiscent of the painted wooden planks used in the original Kluang Railway Station kopitiam. Three clocks with times indicated for London, Kluang and New York add charm to the lobby and an entire wall is plastered with a giant poster of a KTM train in the Kluang Railway Station. The charming coffeeshop theme continues inside the rooms where traditional kopitiam ceramic cups and saucers are provided with the coffee and tea making facility. The cosy Rail Hotel features 19 guestrooms and suites that are tastefully appointed with comfortable beds and furnishings, a 32-inch LCD television with selected cable television channels and complimentary daily newspapers, wireless internet access, coffee and tea making facilities and use of hair dryer, iron and ironing board, upon request. 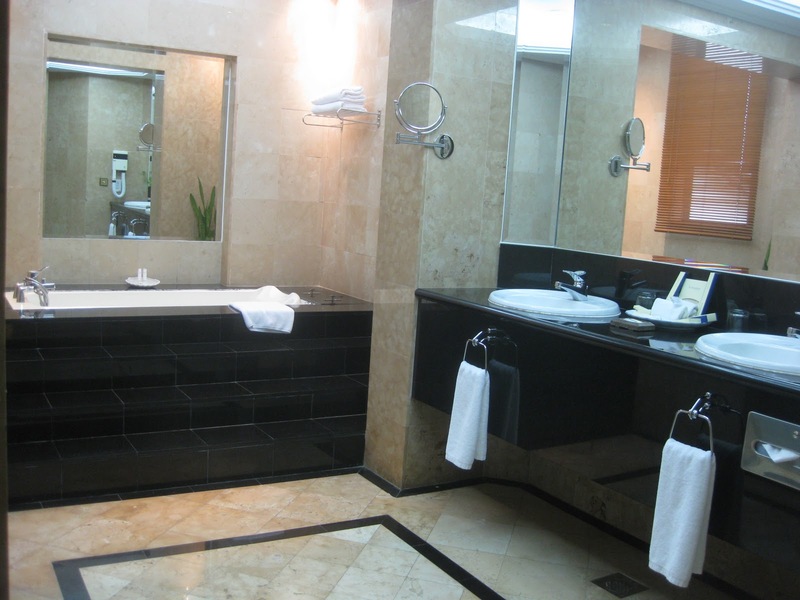 En-suite bathrooms are equipped with essential amenities for travelers and best of all the beds are firm yet comfortable and come with a top-sheet as well as a comforter, as a choice of coverings for guests. The room types range from Standard Single, Standard Queen to Deluxe Twin and Deluxe King, and spacious Family Suites. One of the top treats about staying with the Rail Hotel is that every room comes with complimentary breakfast at the Kluang RailCoffee shop. The breakfast voucher entitles guests to pick a drink and main course as well as a choice of classic toasted bread or buns from their satisfying breakfast menu. 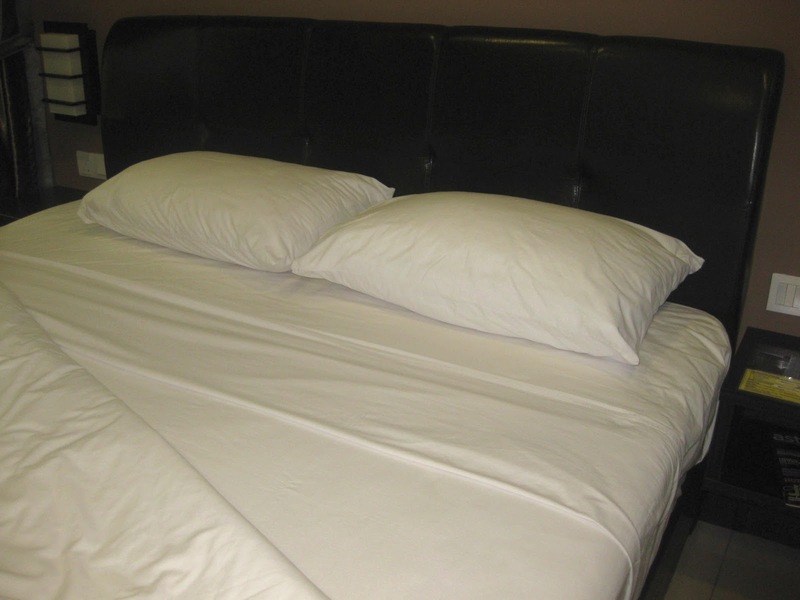 This deal certainly makes the charming Rail Hotel the perfect Bed & Breakfast destination in Kluang. 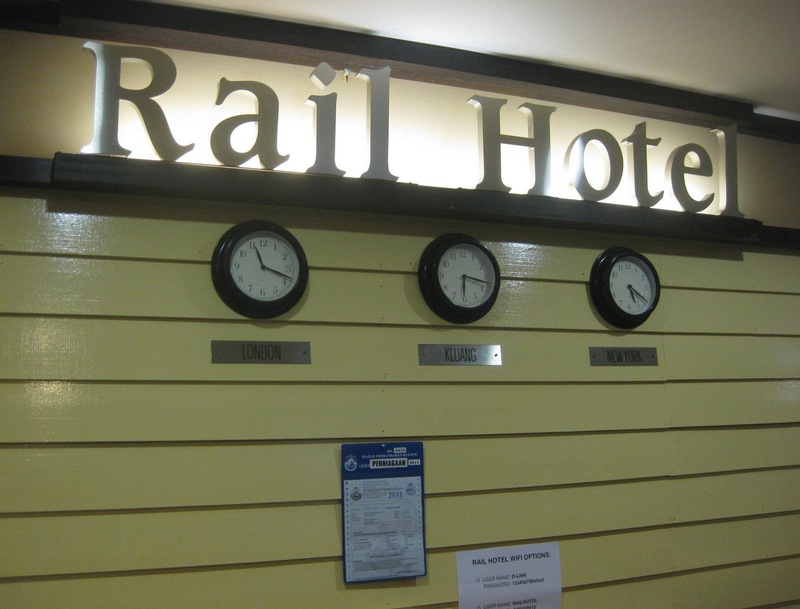 Rail Hotel is located at No. 20 & 21, (1st & 2nd floor) Jalan Tasik 1, Pusat Perniagaan Tasik, 86000 Kluang, Johor, above the Kluang RailCoffee shop. For enquiries and reservations, Tel: 607 – 772 8391/012 – 711 5435 and Fax: 607 – 772 8390. Attractive rates apply for long-term stays. I was in a mall, shopping for a camera when the shop assistant – who happened to know my parents when they were based in Masai – asked after them. 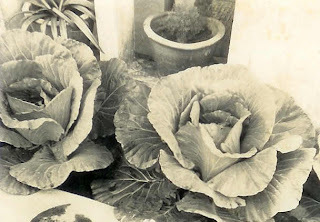 His admiring remarks about the cabbages that my dad used to grow jolted memories of the vegetable garden around the Government quarters where we once lived. So when I got home, I wasted no time to dig out the old photos that had living proof of dad’s green fingers. 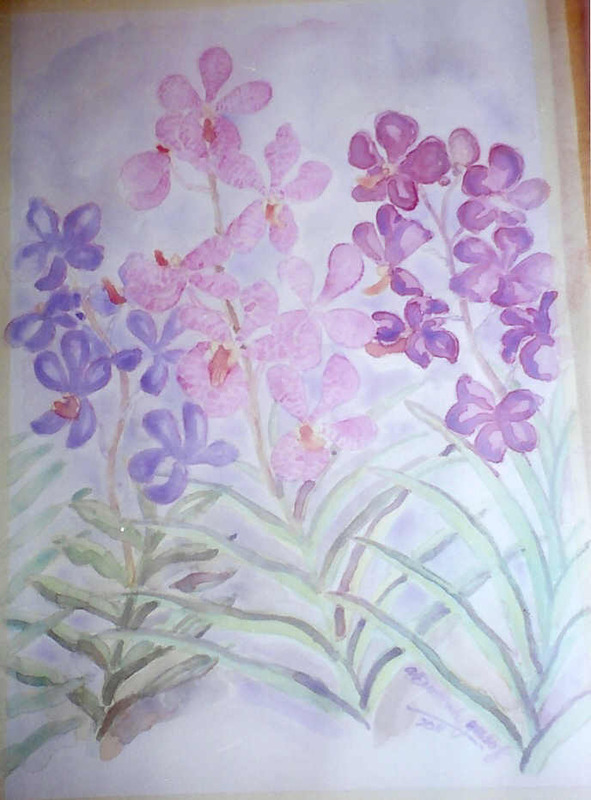 In the early 70’s dad expanded his hobby in flower gardening to planting vegetables and I can relate to the thrill of watching plants grow and trees bearing fruit. Thoughts of dad’s vegetable patch swiftly brought back memories of a strong smell of cow dung because dad used it liberally as a fertilizer for his cabbages, brinjals and ladies fingers plants. In any wind direction, this familiar pong would be carried into our house! Dad said he would collect the fresh dung from the local cowherd (who supplied fresh cow’s milk) to use it on the plants. Cabbage plants were planted in the flower bed in front of our house and on the ground in various plots between our Government quarters and the Health Centre clinic. Some cabbage plants that were grown in large flower pots, made very good gifts to admirers who probably, sweet-talked dad into parting with them. It was fascinating to figure out that those healthy plants sprouted from tiny seeds. I remember the seedlings that were tenderly nurtured in a damp tray-like nursery before being transplanted into earth that was thoroughly mixed with cow dung. I can still picture how dad used to till the earth with a cangkul or hoe, carve neat rows out of the ground and use his hands to break up the soil as he mixed it with dung. When the weather was hot, dad would be armed with his watering-can to make a circuit around the garden to water the plants at least twice a day. If the weather was wet, the work begins after the rain stopped. Mum and dad would be in the garden, searching under every leaf and frond to find pesky snails that usually abound in such damp weather. They know that these snails can cause significant damage to the plants if they were not weeded out. So it was like a treasure hunt for them to push aside leaves to extract a variety of large and tiny snails. I can still remember the bucket of crushed snails which were fed to a flock of ducks that we reared in a pen at the back of our house. Besides the cabbage plants in the front and side garden and brinjal bushes outside the kitchen window, there was also an herb garden behind our house. It was amazing how this garden seemed to have an endless yield of fragrant pandan leaves, lemongrass and lengkuas ginger whenever mum needed to use these ingredients in the kitchen. 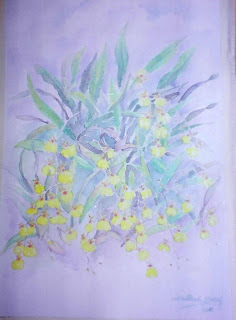 There was also a climbing plant grown on a trellis we call sim lor choy, [Siamese vegetable?] and its leaves were plucked for mum to make a delicious vegetable lemak dish. I soon discovered that our rear garden was watered by water that was used to wash fish in because I used to see bits of dried fish gills “growing” on some of the plants. Today there is no vegetable patch in our garden but we still have the ubiquitous pandan leaves and lemongrass along with a few species of shrubs that are grown for medicinal purposes. Looking back now, it’s interesting to note that mum and dad were already practicing a form of Green living way back when it was not yet a popular lifestyle. 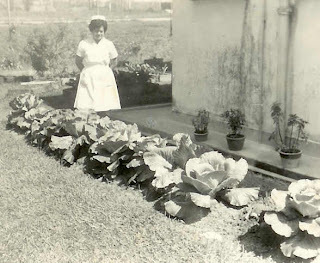 Mum is familiar with farming because when Ah Kong or grandfather was based in Muar after World War 2, the family grew their own fruit and vegetables in a plot of land close to their Government quarters home near the hospital. Mum said the children were instructed to set aside their chamber pot every morning for Ah Kong to dilute the contents with water and use it as plant fertilizer. This natural fertilizer, commonly used by farmers in those days, produced a healthy yield for the family’s consumption. 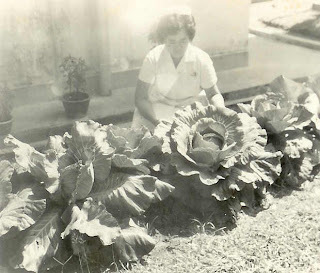 The family had to grow their own vegetables out of necessity because there were many mouths to feed and Ah Kong worked hard to ensure that everyone had a well-balanced diet. Mum said their plot, planted with a variety of leafy vegetables as well as brinjals and chillies, was bordered by a fence of sayur manis plants and said their chillie yield was so good that they could trade them for goat’s milk from a neighbour. This was very handy because Aunty Polly, who was then a baby, needed the goat’s milk nourishment. After a visit to the market the other day, mum told me that her regular market lady was aggressively promoting her stock of organic vegetables. The lady is probably not English educated but mum said the word, “Organic” was rolling off her tongue quite comfortably. Mum wondered if she truly understood this over-used word but I hope discerning customers will ask about farming methods to find out if the vegetables are truly organic. I’ve learnt that not all plump, leafy vegetables are the best because their perfection may mean that a great deal of chemicals have been pumped in to ensure that they are free from blemishes. Maybe less than perfect fruit and vegetables are best because they developed the natural way. While growing our own would be ideal, the next best thing is to buy from local farmers who use responsible farming methods and pay less for fresher products because of lower energy costs for transport from nearby farms. 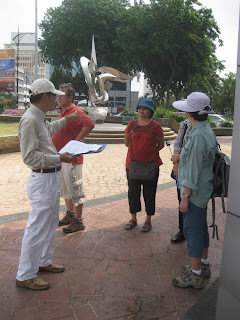 “Tomorrow afternoon, 2.30pm at Laman Tun Sri Lanang,” read the text message from Jimmy Leong, confirming our appointment to meet for a guided walk through the heart of old Johor Baru. Since I saw, “Iskandar Puteri Heritage Trail” printed on sheets put up against old shophouses in the city I was curious and went after Leong to take me on this heritage walk. When I got his message, I jumped at the opportunity. Leong, President of the Malaysian Tourist Guides’ Council, is a fountain of information on the history of Johor Baru because he had researched it extensively and now besides taking tourists on guided tours, he also trains of tourist guides. Leong arrived promptly but my friends and I were waiting, with feet shod in comfortable walking shoes and heads shaded by hats, eager to start the tour. Leong went into some detail, explaining the history of the Johor sultanate, the founding of Singapore and the development of modern Johor under Sultan Abu Bakar. Based on historical records, Johor was known as Hujung Medini, Ujung Tanah (Land’s End) or Wurawari, a Javanese word that means “clear water.” In 1855 Temenggong Daeng Ibrahim gained sovereignty over the territory of Johor and founded the new capital named Iskandar Puteri. When Stamford Raffles came to Singapore in 1819, the Chinese in the Riau Islands and Singapore were already cultivating gambier successfully. 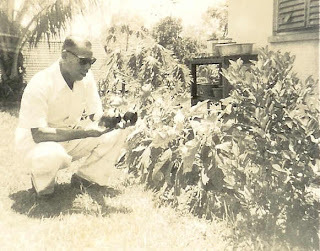 After 10 to 15 years when the land was exhausted and infertile, Temenggong Daeng Ibrahim encouraged the Chinese to move into Johor to open fresh land for new plantations. He introduced the kangchu or River Lord system for the kangchu to establish pepper and gambier plantations, collect taxes and govern Chinese communities in their areas along the rivers. 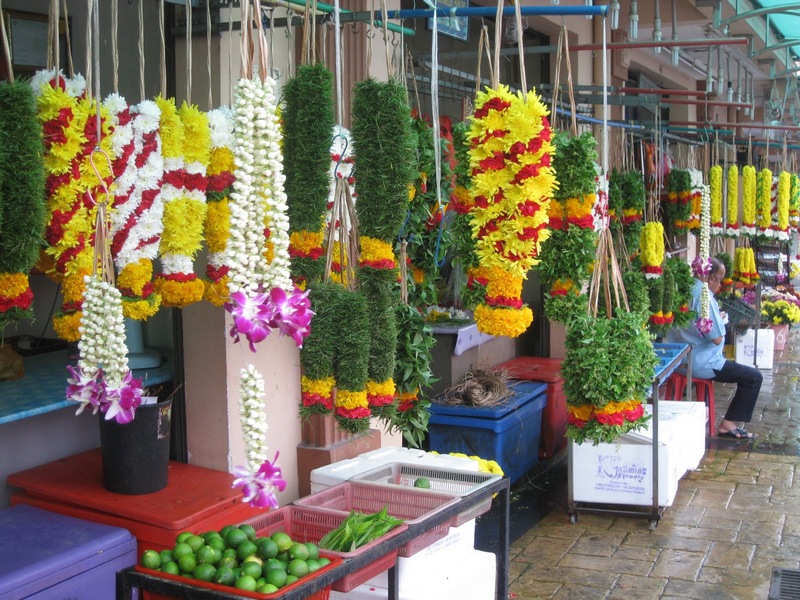 These economic crops gained a place of honour in Johor history’s and this motif with intertwined sprigs of pepper and gambier plants is widely used in various structures throughout the state. Johor Baru had various ancient names but Leong pointed out that the Chinese name for the city is, sin sua (Teochew) or sun san (Cantonese) which means, New Hill. He suggested that when the kangchu’s, who had been farming at a hill in Singapore arrived in Johor, they sighted a hill – probably Bukit Timbalan – and named this place, New Hill. To this day, the Chinese still refer to Johor Baru as New Hill! From Laman Tun Sri Lanang, our group crossed the road to the corner of Jalan Wong Ah Fook and Jalan Sawmill and stopped in front of the sculpture, a Jawi rendition of the word, “Jauhar” which is Arabic for ‘gem’ believed to be the word from which Johor derived its name. I was simply thrilled to hear Leong say that we will explore the heritage trail by walking through old streets in the city’s Central Business District to see vanishing trades and rediscover the early immigrants’ way of life. He said this is just one of the heritage trails among others like the Palace Trail that takes visitors to see the nine palaces built during the reign of Sultan Abu Bakar. The strong influence of European culture and his close relationship with Queen Victoria inspired him to build impressive and prestigious palaces to host guests like royalty, aristocrats, high-level European governors and important literary figures. 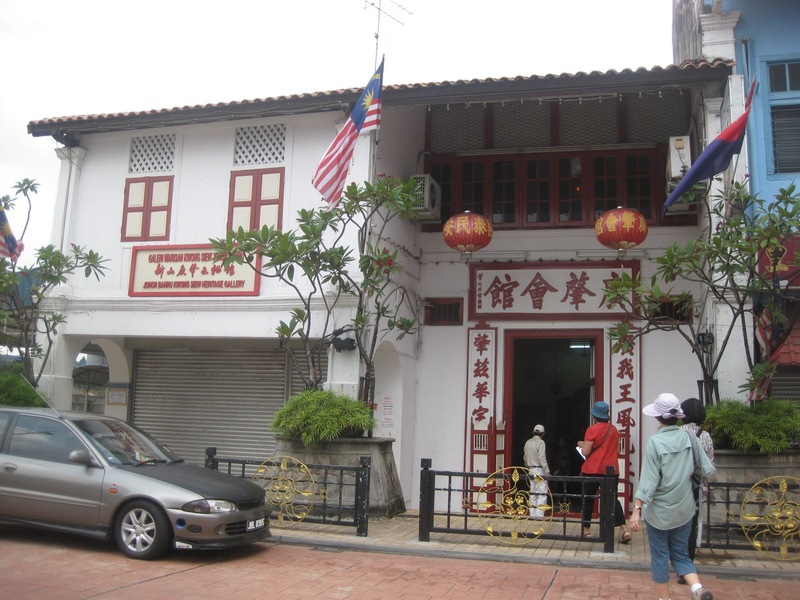 To learn more about local Chinese heritage, the Museum Trail to visit the Johor Baru Chinese Heritage Museum and Johor Baru Kwong Siew Heritage Gallery is recommended. 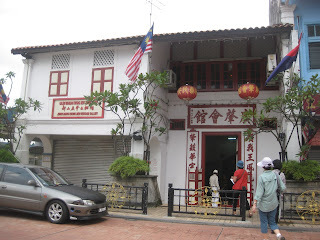 The Temple Trail is another interesting walk to see how the multi-racial people of Johor Baru live together in harmony with their various forms of worship. This trail starts from the top of Jalan Trus, the site of the Church of Immaculate Conception (Built 1883) and Holy Light Church (original chapel 1886) to the Johor Baru Ancient Chinese Temple (1870) and the Sikh Gurdwara Sahid (circa 1921) across the road, down to the Arulmigu Rajamariamman Devasthanam Temple (1911) at Jalan Ungku Puan and round to the recently renovated Mosque at Jalan Duke. While the Arulmigu Sri Rajakaliamman Glass Temple (original shrine 1922), listed in Malaysian Book of Records as the first and only glass temple in the nation, is a short trek away at Jalan Tebrau, it’s still worth a visit. Standing at the point where Jalan Meldrum and Jalan Sawmill meets, I learnt that these roads existed more than 150 years ago and from the number of vehicles and pedestrians passing by, I can see that these roads remain heavily in use. 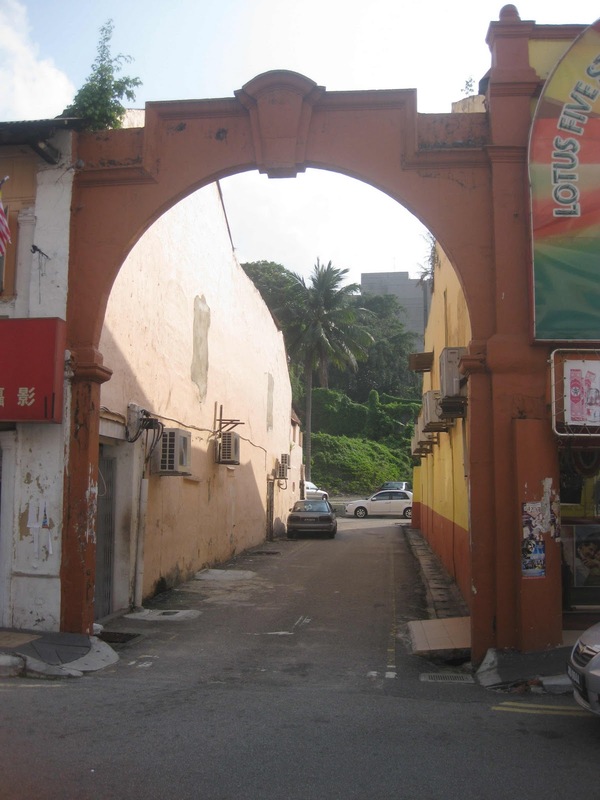 Jalan Meldrum is named after a Scotsman, James Alexander Meldrum who built a sawmill on the left bank of Sungai Segget in 1860, close to the river mouth. This sawmill was then the biggest steam sawmill in Asia and the first major structure to be built as well as the first industry that was established in Iskandar Puteri. It produced sawn timber as one of Johor’s main exports and to ensure that there was enough timber for the construction of a light railway between Johor Baru and Gunung Pulai, Sultan Abu Bakar wisely made Meldrum the engineer of the Johor Wooden Railway or Keretapi Kayu Johor. Meldrum also helped in the establishment of the Holy Light Church in 1886. From this sawmill and its timber, my thoughts were drawn to the carpenter-turned-builder and contractor and successful entrepreneur, Wong Ah Fook. He is credited for building the magnificent Istana Besar or Grand Palace, Istana Zahariah, Balai Zahariah and the Johor Baru Prison. For his services to the State, in 1892 Wong was granted a special land concession in an area bordered by present day Jalan Wong Ah Fook, Jalan Station and Jalan Tun Abdul Razak. Known as Kampong Wong Ah Fook, the main road was named after him while the side roads are named after his three oldest sons, Siu Koon, Siu Nam and Siu Chin. Vivid scenes from period movies flashed through my mind as Leong described that as more Chinese immigrants prospered, Kampong Wong Ah Fook became the centre for leisure and entertainment in clubs, restaurants, gambling houses, opium dens and brothels and inevitably, secret society activities. He said that such vices follow immigrants wherever they settled and it was no different in 19th Century Johor Baru. 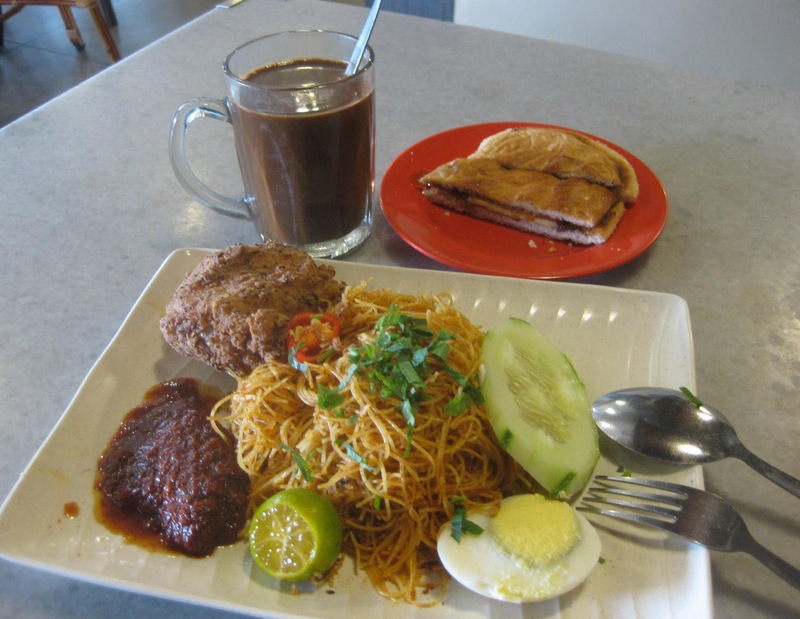 As merchants on both sides of the street are still doing brisk business, stretches of the pavement along Jalan Meldrum are cluttered with parked cars and coffee-shop tables. For a moment my imagination went wild with flashbacks of Suzie Wong-type of femme fatales in fitting cheong-sams, plying their trade from open doorways and upstairs balconies on this street! At the corner of Jalan Meldrum and Jalan Siu Nam, Ching Ching Optical caught my eye (no pun intended) as I recognized this old establishment that has developed into a chain of outlets in several city malls. As far as I know, all prescribed lenses used in my family are from them. At one time they were also authorized dealers in firearms and my dad, uncle and grandfather who held gun licenses, used to buy ammunition from them. I looked in the shop and was amused to see that its layout remained virtually unchanged. Leong was leading the group on as I dawdled so I hurried along but I had to pause to read several information plaques embedded on the pavement. After crossing Jalan Wong Ah Fook at Johor Bahru City Square, I joined the group in front of Thye Onn Pawn Shop, another of the city’s established merchants. Back in the days when a large family had a sole breadwinner, this service helped families to stretch their money for food and new clothes especially during festive seasons. 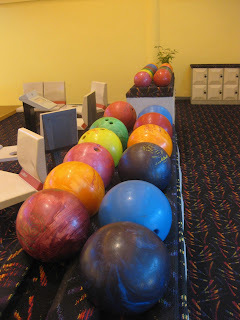 When the family had saved sufficient money, they would redeem their valuables from the pawn shop. Before gas and electric appliances were common, every home kept a stock of charcoal because it was a basic necessity in homes and with businesses like laundries, hawkers and restaurants. 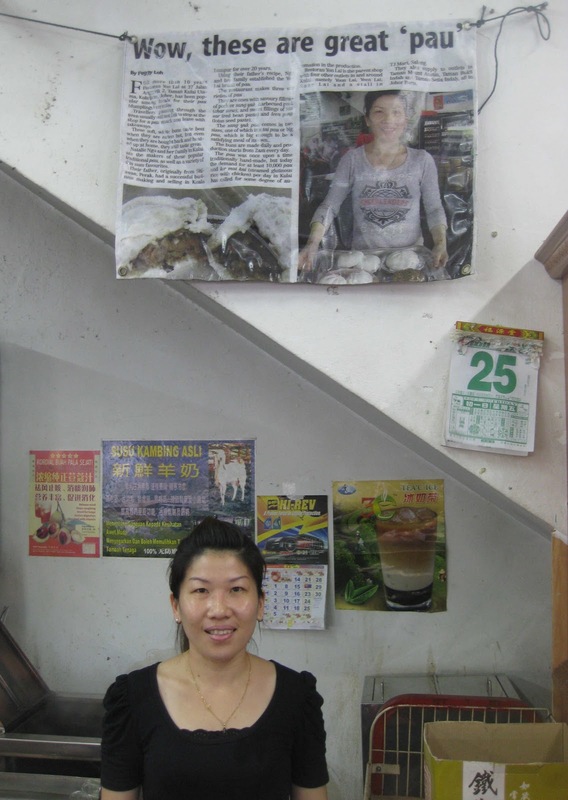 Yong Heng, a quaint shop on Jalan Trus still stocks bags of charcoal for sale. In the sparsely furnished shop, an order book was lying open on the desk and when I had a peek, I felt a pang of nostalgia to see the pages, yellow with age and printed with a six-digit telephone number. Two bakeries in the city are probably the charcoal dealer’s best customers because they still bake bread and pastries in charcoal ovens. Sallahuddin Bakery on Jalan Dhoby and Kedai Kek & Roti Hiap Joo on Jalan Tan Hiok Nee are family businesses that are thriving with the keen interest in their traditional art of baking. 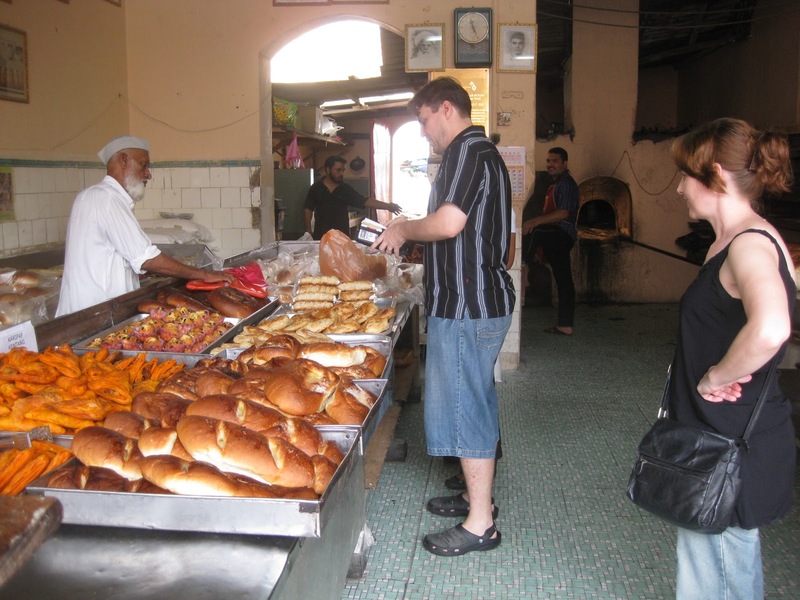 Piping hot products, fresh from their ancient ovens are a favourite for locals and visitors. For me, there’s no better way to end the walk than to buy Hiap Joo’s freshly-baked banana cake and savour it with a hot cup of coffee on the shady pavement of Kim Wah kopitiam opposite. The quickest way from Jalan Wong Ah Fook to Jalan Trus is through a shortcut that links the two streets. This old footpath is still in use but many prefer the new link at the side of the Public Bank building. Mid-way up this new path, Leong led us aside to a grassy knoll by the stairs and pointed to a nearby row of shops which he said once had a coffee-bean roasting business. At that time, there was also a spice grinding mill nearby so passers-by would certainly have their nostrils tickled by these scrumptious smells! 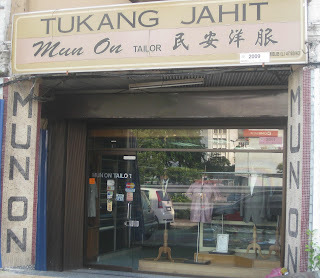 It must have been in vogue at that time because the façade of Kwong Lee Soon Kee Goldsmith and Mun On Tailor on Jalan Trus have signs created from mosaic tiles. Looking closer, I marveled at how coloured mosaic tiles were meticulously arranged to form business names for shop signboards and on side pillars. This is certainly a durable method because the pillars at No. 26 Jalan Meldrum still had “Fashion Tailor” emblazoned on the pillars even though it is now occupied by another business. Another interesting feature to look out for is arches built between Jalan Tan Hiok Nee and Jalan Dohby and one each along Jalan Trus and Jalan Segget. The town was divided into various enclaves and the archway marked the entry into another section of town. While walking along a small lane, Leong pointed to uneven patches low on the walls that appeared to be holes that were now sealed up. It was helpful to learn that these apertures were for night-soil collectors to remove and replace buckets when Johor Baru had a bucket toilet system! The best thing about these heritage walks is they are Free-of-Charge and you can explore them on your own time and at your own pace. However, the trails are best appreciated with a guide who can enhance your experience with historical references and interesting anecdotes. For enquires on guided tours, contact Jimmy Leong on Tel: 6012 – 7040183. 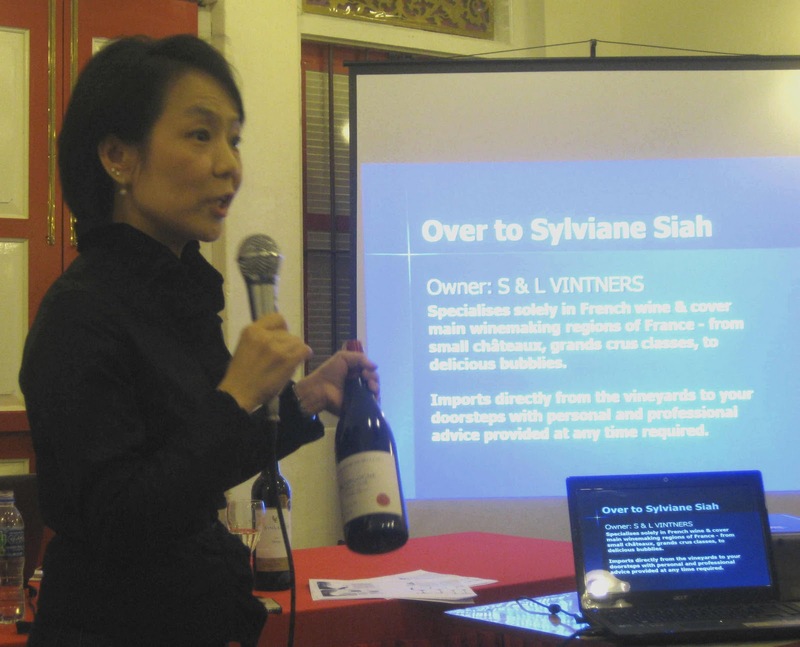 Sylviane Siah, a specialist in the selection and appreciation of fine wines, is the owner of S & L Vintners, direct importers of French wine. I was born in Rose Hill, the third largest town in Mauritius, about 10km south of Port Louis on the west coast of the island. My younger brother and I are third-generation Chinese Mauritians. Like most Sino-Mauritian children, we are tri-lingual and conversant in French, English and Mauritian Creole. The population in the Republic of Mauritius is made up of descendants of people from India, Africa and France with a minority from China. In school, I was often the only Chinese child in class. I continued my studies in a Canadian university and there, I met the Malacca-born Malaysian man who is now my husband. After we were married, I lived with my in-laws in Malacca for a year and another year in Kuala Lumpur before we moved to Johor Baru in the late 1980’s. Even though it is more hot and humid here, I easily adjusted to the climate because Mauritius is typically tropical with warm, dry winters and seasonal cyclones. While cyclones are destructive to the agricultural economy in Mauritius, it was fun for me because when there were Class 3 cyclones, I used to enjoy welcome breaks as all schools had to be closed! I remember experiencing a culture shock when I first arrived in Malaysia. The Chinese are a minority in Mauritius but there is a large Chinese presence in multi-racial Malaysia. So it was a while before I got used to living among many people who looked like me! My husband is Hokkien so I picked up a few useful phrases like, “Kam siah” (Thank you) and “Lu ho bo?” (How are you?) I hardly speak French here but it was uncanny that a French tourist, who had lost his way around Malacca city, happened to turn up at my in-law’s house to ask for help. When I opened the door to him, it was a pleasant surprise for both of us to suddenly find someone who could chat comfortably in French! I’m not traditional or conservative but I’m learning some interesting traditions and taboos from this country’s rich culture. During the confinement month after my son was born, I remember the shock on the faces of my mother-in-law and eldest sister-in-law when they found me hand-washing the baby’s nappies. They were horrified and insisted that I stop immediately to let the maid do all the washing, and I did so obediently but only learnt the reason why much later. I find Malaysia similar to Mauritius in that it is common for a combination of several cuisines to form part of the same meal. While we often have a blend of Chinese, Malay, Indian and European influences in our food here, back in Mauritius, it is a blend of Indian, African, Chinese and European dishes. I grew up with French and local cuisine but in Johor Baru, I’ve discovered a taste for Teochew food. In Mauritius, the production of rum – made from sugar cane – is widespread and beer is also produced on the island. I grew up in a culture of drinking wine with our meals and I know how to enjoy a glass or two with my meal. About ten years ago a Malaysian friend imported some wine from Provence, France, for himself and shared six bottles with me. When I brought these bottles of French wine to a party, it was very well received. My friends quizzed me about my source and when I explained how I came to have those bottles, they wanted me to order more and import them on their behalf. These orders became so frequent and in increasing quantities that it started to be a business for me. I’ve always wanted to do something that interests me and wine appreciation is something I already know. It was also an opportunity for me to stay in touch with the French part of me. So I started a business as an importer of French wine. To me, every bottle of French wine is like a book because the information on its label may include the name of the producer and the bottler’s names, or if the wine was bottled at its place or origin. The French are passionate about what they do and I can read so much history and experience of the winery just from the bottle’s label. I always tell French wine connoisseurs that there is a story behind every label. Through distributing French wines, I made many friends in the food and beverage industry in Johor Baru. I feel that foreign restauranteurs who operate French, Italian, English, Japanese, Korean, and fine-dine specialty restaurants in the city are contributing a great deal to make Johor Baru more exciting. In the last thirty years, I’ve seen many changes in the city and it find it interesting to meet more discerning wine drinkers who know how to appreciate high-quality, nuanced wines from the evolving wine world. Qing Palace at the award-winning Pulai Springs Resort has been voted one of Malaysia’s Best Restaurants by the Malaysian Tatler magazine for six consecutive years from 1999 to 2006. 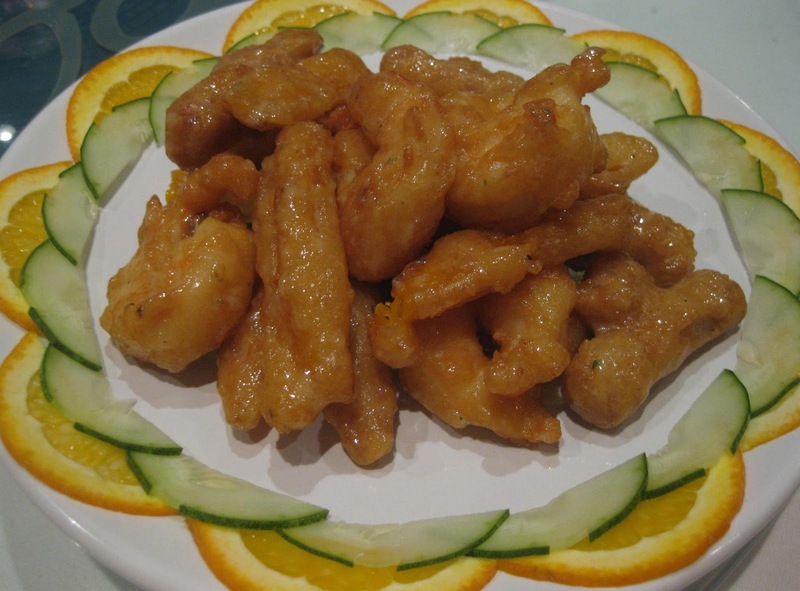 Its menu of Szechuan, Fuzhou and Cantonese cuisine, remains consistently good and has expanded with Hainan and Teochew specialties as well as seasonal Chef’s Recommendations. Dining here is also a visual treat as its deco is reminiscent of an ancient imperial dining hall, featuring genuine antique furniture, paintings, carvings and silk lanterns. At the entrance you walk along a corridor bordered by a water garden and an antique arched door adorned by intricate carvings. 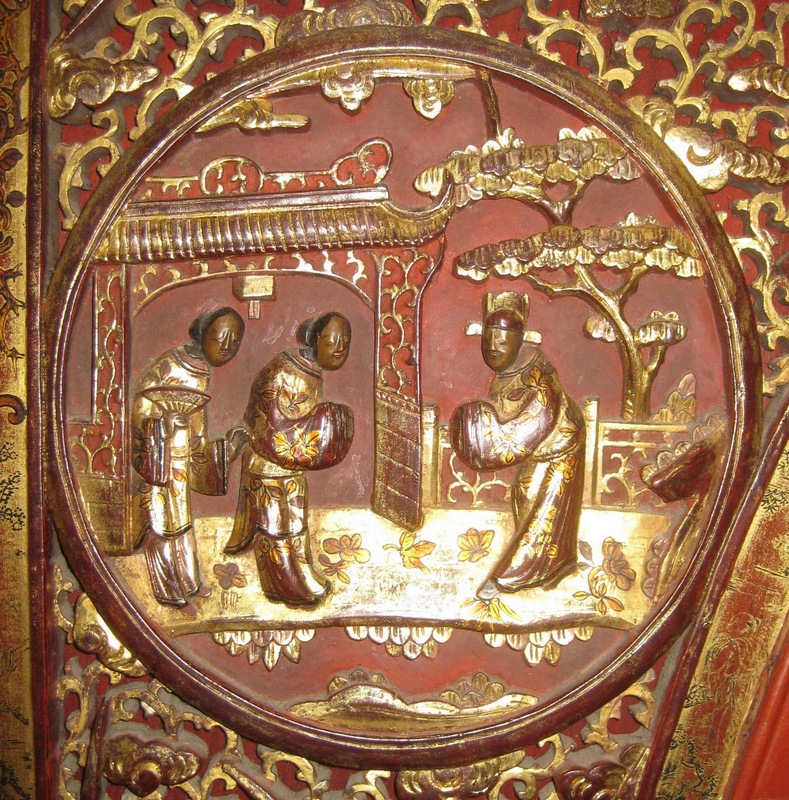 Look closer at the carvings finished in gold to see various pictures that seem to tell a story. 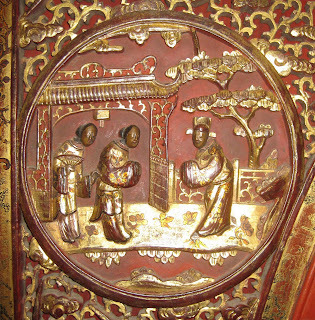 On the top left of the archway, you will find a very apt scene of people meeting and greeting each other. As you select familiar favourites from the menu, whet your appetite with Qing Palace’s own blend of Chinese tea called Lok Po, created with a mix of Jasmine, Pu Er and Kum Cho (liquorice) quality teas. While you are assured that the meal will be prepared to Qing’s quality standards by Executive Chef Lim Meng Chong, Restaurant manager, Brehme Wong, is happy to help you with your orders. Chef Lim, who has helmed the kitchen for the last 11 years, is a hands-on chef who insists on superior quality ingredients, taste and service. Signature dishes like the Szechuan Hot and Sour Soup and Camphor and Tea Smoked Duck, continue to rank highly in quality and taste. 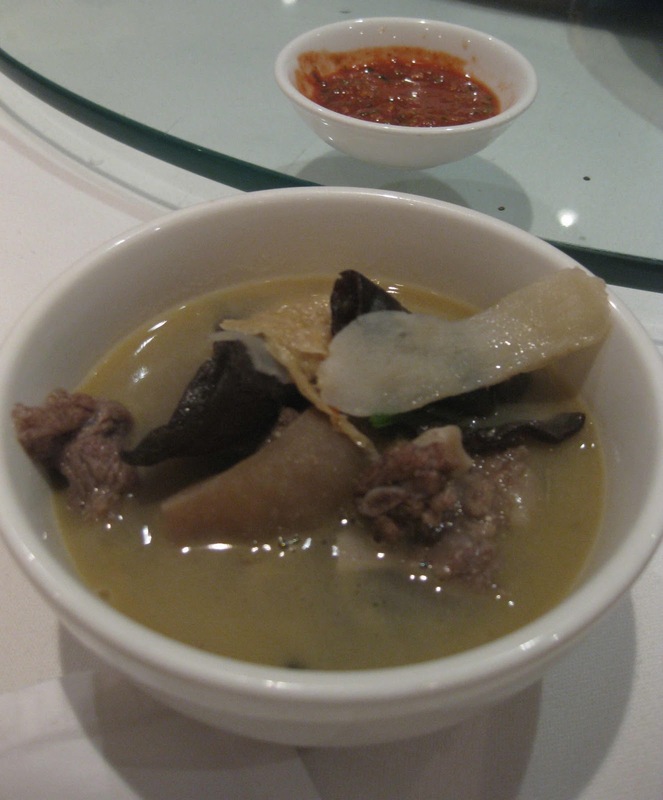 The flavour balance in the soup remains both appetizing and soothing while the smoked duck is simply tender and tasty. 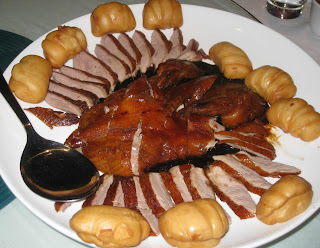 Both these dishes are served with fluffy, fried mantou or Chinese buns for you to dip in the soup and to slip in a slice of tender smoked duck, smothered in sauce and savour in delicious sandwich-like bites. From September to October, the Chef’s Recommendations include Braised Goose Web with Dried Seafood, Fried Prawns topped with Chicken Floss and Ostrich Steaks pan-fried in Barbecue Sauce. Stewed Chicken with mui choy preserved vegetables is a veritable comfort food that goes well with steamed rice. Wong said that it’s popular among golfers who are keen on such home-cooked flavours especially after a good game. Another recommendation is Hainan style Stewed Mutton, a rich broth fragrant with spices, simmered in a claypot with ingredients like dried soya sheets and crunchy moke yee fungus. This stewed local grass-fed mutton is tender and very palatable. De-shelled prawns with yam and pumpkin sticks sautéed in cheese, is an interesting combination and this dish minus the prawns, is also a favourite with vegetarians. 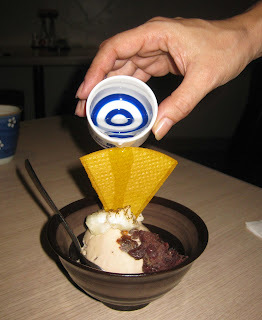 For a sweet ending to your meal, the oni or warm yam pudding and mua ji dumplings are great choices. Do allow these freshly-made dumplings, coated with peanut powder and filled with peanut paste, to cool a little before you sink your teeth in them. If you prefer a cool dessert, then chilled mango pudding or lychees with almond jelly cubes are just nice. I stop in my tracks as a watch a small animal streak across my path – a squirrel – dashing to the side of my car before climbing up the nearest tree. As I drag my bag across the driveway, I think these curious creatures must have grown used to people and the noise from bags bouncing on uneven ground. Charmed by this sight, I’m glad that the little squirrel continues to thrive in its natural habitat as I make my way into the lobby of Le Grandeur Palm Resort. Still thinking of my squirrel encounter, I enter the lobby with its familiar welcoming airy ambience. While the reception staff attends to guests, I take my time to admire the artifacts displayed behind the counter, ceramic creations by a local artist. The name of the resort may have changed several times in the last few years but I already feel at home in the superb surroundings of this established 5-star resort hotel in Johor Baru. Its lunch time and I follow the footsteps of a large group heading into the 2-in-1, Xin-Shan Long, Sobasei restaurants for the Chinese-Japanese buffet. Available only on Fridays, this is certainly a value-for-money buffet that features two live cooking stations that’s whipping up freshly-made Japanese teppanyaki and Chinese deep-fried specialties. After a peek at the array of temptingly displayed food, I have no difficulty in deciding where to eat my lunch. My appointment at Le Spa is at 4pm and my therapist recommends a revitalizing body massage to de-stress so I pick “Le Signature” their signature treatment that uses a blend of Rosemary, Tea Tree and Citrus oils. She applied a professional mixture of traditional Malay, Thai, Balinese and Hawaiian therapies to indulge my senses with an ultimate experience in relaxation and rejuvenation, and gear me up for a lovely evening ahead. She was right – her skillful ministrations certainly helped to work up a healthy appetite. I drop in at The Bar for a frozen Margarita before going to The Grill at Cocomo to meet Chef Ravi who’s cooking up a storm in full view of diners. It’s a weekday in the resort but the Chef is kept busy because The Grill is a popular choice for diners who appreciate the creative meals served in a charming ambience. 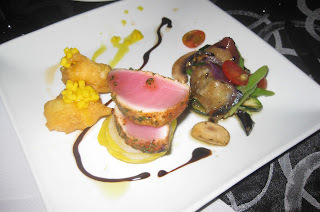 He did well to impress me with a trio of appetizers made up of deep-fried scallop topped with chopped mango, pan-seared salmon and an delectable vegetable combination of eggplant, French beans, sliced mushrooms and cherry tomatoes. 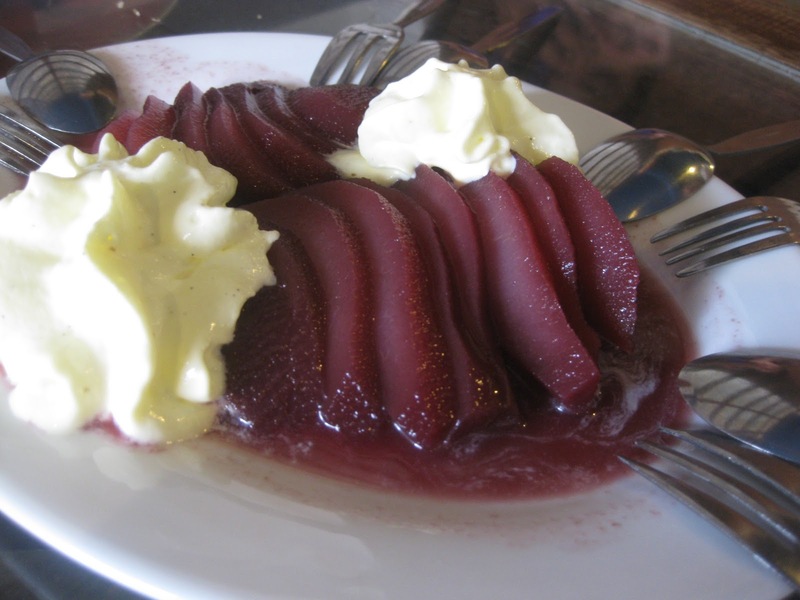 After polishing off the spicy rack of lamb, garnished by caramelized onions with a side of Japanese idemame beans and boiled potatoes, I still have room for the tempting dessert of ice-cream on chocolate mousse. One indulgence leads to another and it’s so easy to snuggle into the comfort of my king-size bed for a good night’s rest. To top off my restful resort stay, a slow start the next morning with a leisurely bath, my morning read and a light breakfast in bed – not necessarily in that order – is just what I need. I take my time to savour every unhurried moment to its full before I leave this laid-back routine and return to the pressures of the daily grind. 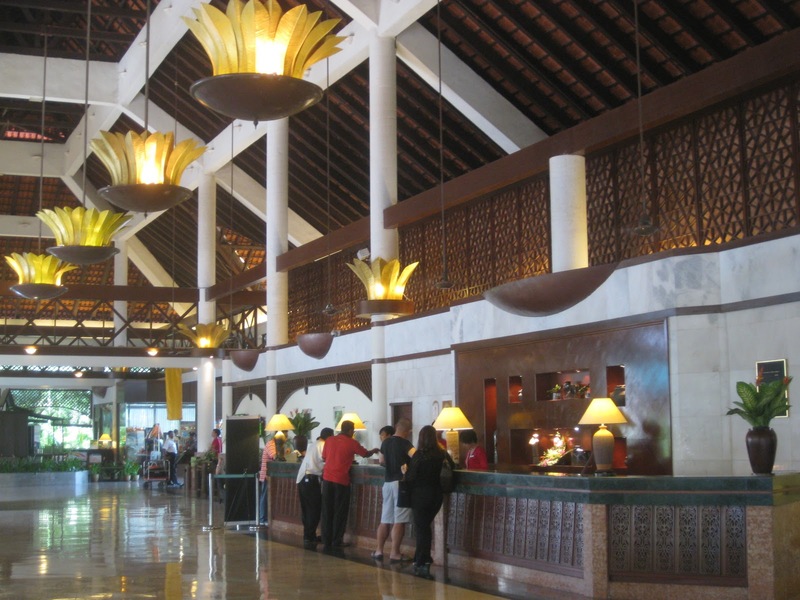 Easily accessible from Singapore through the Customs Immigration & Quarantine complex and Second Link or exit at Senai tollgates from the North-South Highway and drive in the direction of Sultan Ismail International Airport – the resort, located just a stone’s throw away from the airport, is clearly signposted. It is one of the most complete 5-star resort destinations in the country, providing wide ranging facilities for business, leisure, recreation, spa, golf and adventure. Staffs are friendly and a warm and welcome resort ambience. Total 330 rooms and suites that enjoy lovely views of lush tropical gardens, the swimming pools or the luxuriant greenery of the golf course. Spacious rooms feature large and indulgent beds while some bathrooms in suites even have sunken long baths as well as glass shower cubicles. Ask for special promotional rates valid till December 2011. Pick from special room packages like Stay & Spa, Sweet Suite Deal, Excitement Avenue and Family Day stays. The Ishwara Asian Brasserie and Terrace on the lobby level offers all-day dining with an a la carte menu of local and International cuisine, enhanced by live cooking stations for freshly cooked Asian and local favourites. The Xin-Shan Long and Sobasei Japanese restaurants offer a 2-in-1 dining experience for elegant Chinese and Japanese cuisine in one place. The Grill at Cocomo offers specialty coffees and teas with delectable pastries and as dusk falls, the live-cooking grill serves some of the chef’s original creations in a charming ambience. The Bar is a favourite watering-hole for regulars who enjoy soothing live entertainment by resident musicians. Well-trained, attentive and unobtrusive service. Twenty-four hour room service, convenient high-speed broadband internet access in all rooms, a Business Centre, halls and function rooms, swimming pools, team-building adventure village and sports and leisure centre with tennis and squash courts, fitness center and a bowling alley. Le Spa offers a range of professional therapy and treatment services within charming Balinese themed villas aptly named Lemongrass, Lavender, Cinnamon and Ginger. Concierge services include city shuttle arrangements and tour bookings to places of interest in Johor and Singapore. Palm Resort Golf & Country Club, located adjacent to the resort, offers three 18-hole golf courses in a choice of the Allamanda, Cempaka and Melati courses. He’s come full circle. Inspired by his teachers at the tender age of ten, he decided to be a teacher. 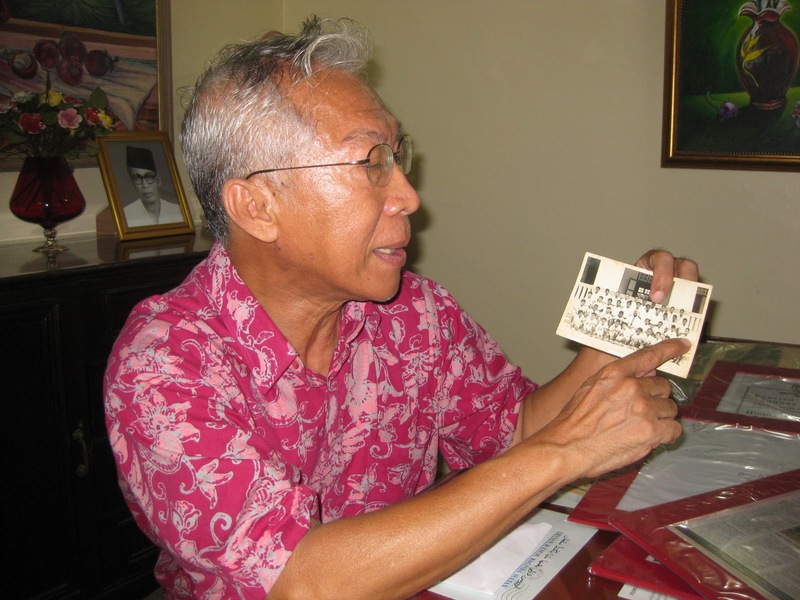 And when he mixed his art expressions with his passion for teaching, he was recognized with the State Level Guru Aktif Art Teachers Award in 1984 for his contribution to Art Education. In 1994 he retired from teaching to pursue his passion for art. Reminiscing on his primary school days in Bukit Zarah School, Abdullah Yusof realized that his passion to excel was ignited by the fine example of class teacher, Charlie Hu Wei Teh. 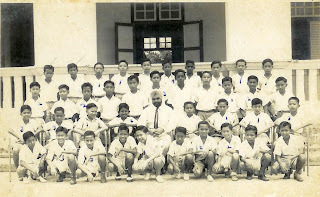 Hu, an audio-visual enthusiast, had set up his camera on a tripod to take their class photo with the top eight boys seated with him while others stood behind or squatted in front. Being second in class, Abdullah was proudly seated in that prestigious row. ﻿Hu organized a class excursion to Singapore that coincided with the 1953 Coronation of Queen Elizabeth II. His initiative and commitment made a deep impression on Abdullah. Abdullah who vividly remembers how he and his 10-year old friends were wide-eyed with wonder when they visited Haw Par Villa Gardens and the seafront Esplanade, part of which was renamed Queen Elizabeth Walk. At the end of three years of Primary School in 1955, Abdullah sat for a Post Primary Exam to qualify for admission into Secondary School. In those days, students must pass this entrance exam because entry into secondary school was not automatic. Fired up with a firm resolve to excel, Abdullah passed and gained admission into English College [Maktab Sultan Abu Bakar], Johor Bahru’s premier boys’ school. 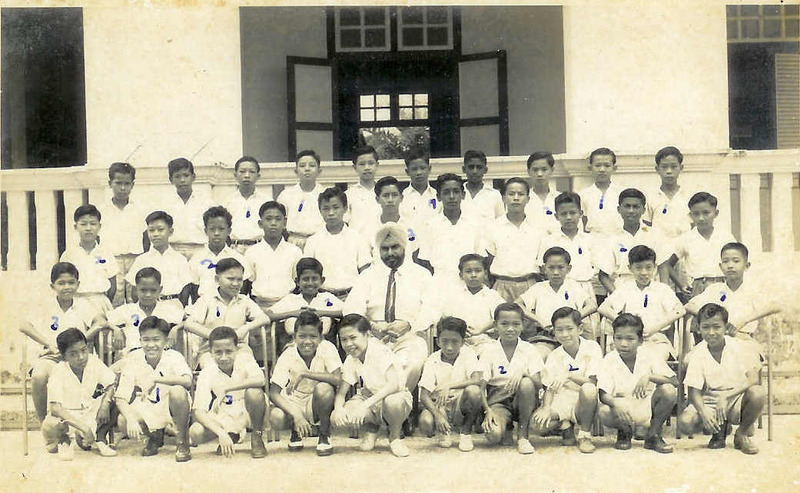 In Form 1A he moved into an English-speaking environment with form teacher, Gurnam Singh. Here he made friends with boys of different races and Arthur Lee Meng Kwang became his best friend. Sharing a similar height and build, and common interests like singing, they sat together and even sang a Dean Martin song in a duet for a concert. Abdullah values how art teacher, Lim Teck Siang, encouraged him to explore and hone his artistic skills. Through Nancy Lim, his English literature teacher, he learnt to appreciate literary classics like Madam Bovary, Wuthering Heights and Twelfth Night. 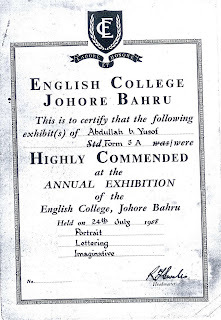 In Form 3, Abdullah’s hard work paid off when Headmaster R J Swales commended him highly with a certificate for his presentation at an annual art exhibition. Abdullah’s love for art and music gave him a hobby in sketching portraits of popular movie and music stars like Rita Hayworth, Jean Simmons, Doris Day, Marilyn Monroe and Eartha Kitt. While Lee went on to start his law practice and later migrated to live abroad, Abdullah joined the Malayan Teachers College and the Specialist Teachers Training Institute to become an English and Art teacher. He taught in secondary schools in various parts of Malaysia until retirement but the artist in Abdullah did not stop there. “An artist lives a cosmopolitan life,” said Abdullah as he described how art transcends race and colour and the way it unites people. Working mostly in acrylic, he also uses watercolours, gouache and oil on favourite subjects are flowers, figures and Malaysian scenery. Since 1975, his art has been exhibited in galleries and events from Johor Bahru to Kuala Lumpur and Shah Alam. 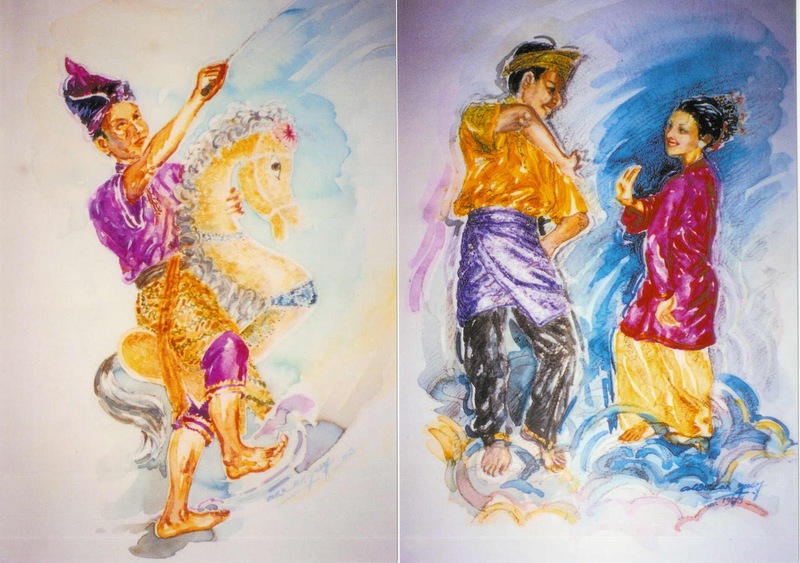 In 1998, Abdullah started a series of paintings on Mosques and Johor Traditional Dances. 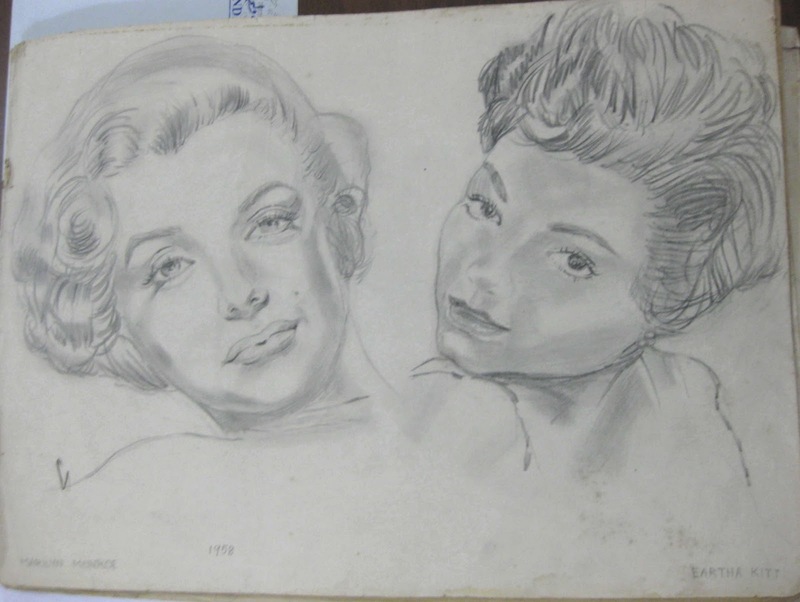 As these highly acclaimed works found their way into private collections and royal palaces, they were reproduced in postcards that are now available for sale exclusively at JARO or Johor Area Rehabilitation Organization, and the Japan Club of Johor. Between 2002 and 2005 he completed commissioned work on paintings of Johor Bahru’s iconic buildings for Hotel Mutiara Johor Bahru and started the heliconias series which were shown in his first solo exhibition entitled, “Heliconias and the Waterfalls,” at the Puteri Pan Pacific Hotel. “My little garden is my source of inspiration,” laughed Abdullah as he explained how he would often take artistic license to add or minus some feature in a God-given scene to make it his own. His “Flora of Malaysia” series of fine acrylic paintings of various species of heliconias found in Malaysia are now available, printed on greeting cards. Abdullah completed a series of larger heliconia paintings, this time created on canvases measuring 80cm x 68cm. Some of these works like, “Ornamental Banana Trees in Cadmium Red” and “Pink Heliconias in the Morning Sunrise” were displayed in Galeri Seni Johor in a show organized by the Johor Heritage Foundation from July to August 2009 to showcase works by 10 Johor-born artists.